Christian Pabico was just trying to block down field. Then Bolu Olorunfunmi came flying in out of nowhere. 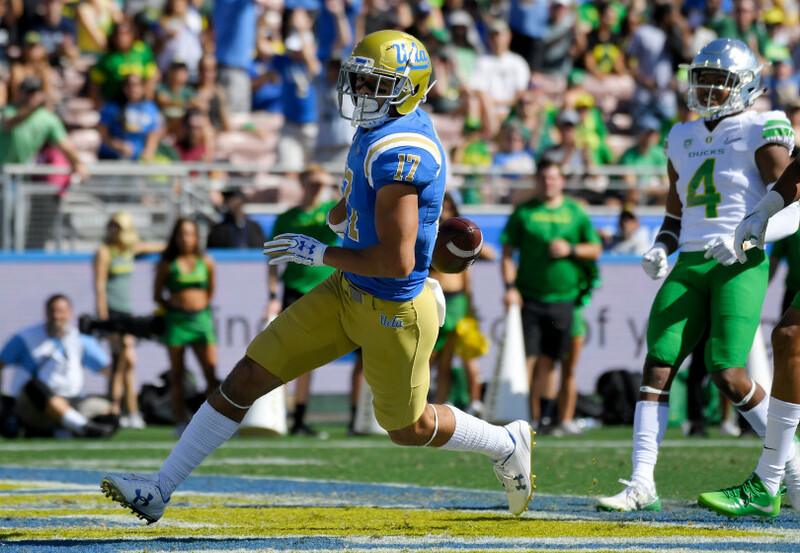 “Thank God he landed in the end zone,” Pabico said of Olorunfunmi’s show-stealing 22-yard touchdown run in the third quarter of UCLA’s 31-14 win over Oregon on Saturday. THAT’S NOT STAIRS. THAT’S A MAN. While Olorunfunmi’s eye-catching touchdown was the highlight of the day, the Bruins (4-3, 2-2 Pac-12) earned a critical victory with a strong overall performance. The offense didn’t turn the ball over for the first time since Sept. 9. The defense pitched a second-half shutout for their fourth-straight win at the Rose Bowl and UCLA kept its bowl hopes alive in the must-win game. Jim Mora wanted his defense to go from “fragile” to “confident.” Saturday’s win should help. Lost in the fray: UCLA picked up a commitment from a three-star linebacker from Michigan on Saturday for the class of 2018. Kolin Demens was also considering Michigan, Michigan State, Kentucky and Pittsburgh before settling on the Bruins. Watch his highlights here. UCLA game day links: Must-win game? Kenny Young won three Louisiana state titles in high school. He was never accustomed to the crushing feeling of a loss. It’s something he’s been forced to get acquainted with in the past two seasons in Westwood, but the senior linebacker is starting to grow tired of it. 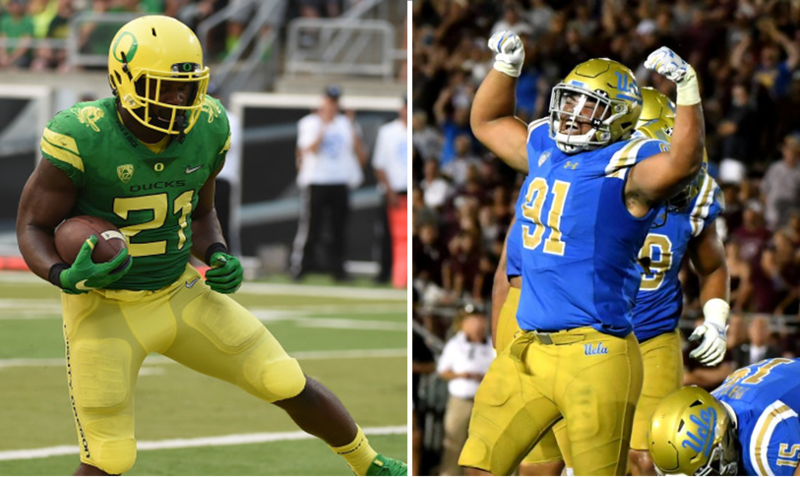 If UCLA doesn’t kick the losing habit Saturday against Oregon, it could also lose its bowl hopes. With their season resting precariously at 3-3 overall, UCLA needs a win against the Ducks before back-to-back road games against Washington and Utah. Saturday’s game is scheduled for a 1 p.m. kickoff on Pac-12 Networks with a radio broadcast on AM 1150 or AM 570. Pre-game graph: How did the Bruins get here? How do you build confidence after a loss? UCLA is trying to find out. Gary Beban will be honored Saturday for the 50th anniversary of his Heisman Trophy. What does the UCLA legend think about the current state of college athletics? Too many on offense, not enough on defense. UCLA can’t win when it comes to turnovers. Justin Herbert was starting to emerge as next star quarterback in the Pac-12 before breaking his collarbone against California on Sept. 30. In his absence, the Ducks have lost two straight games by a combined score of 82-17. Herbert was averaging 252.8 passing yards per game while completing 68.3 percent of his passes. True freshman Braxton Burmeister musters only 57.3 yards per game. Burmeister was benched in the third quarter of Oregon’s loss to Stanford for former walk-on Taylor Alie and the two quarterbacks combined for 33 yards on 5-for-13 passing against the Cardinal Burmeister threw two interceptions and only three completions. 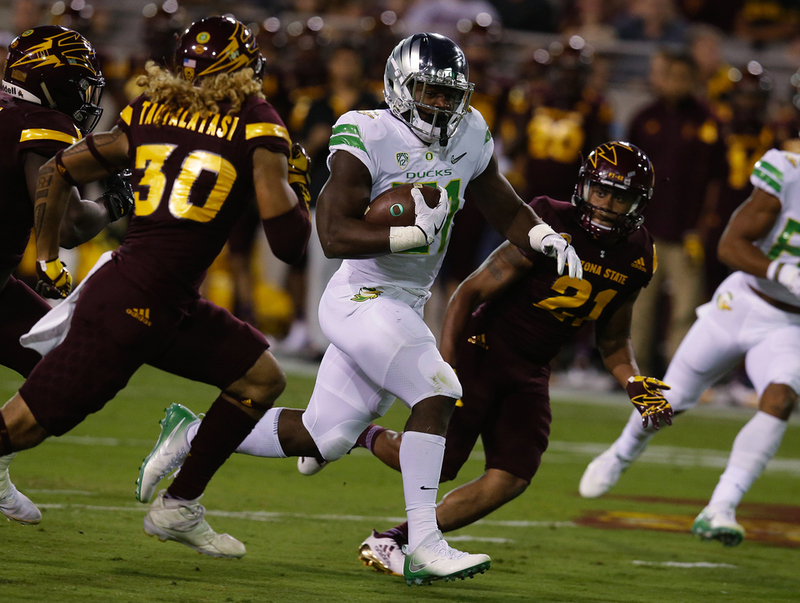 Despite a struggling passing game, the Ducks still have running back Royce Freeman, whose 113.9 rushing yards per game rank third in the conference. 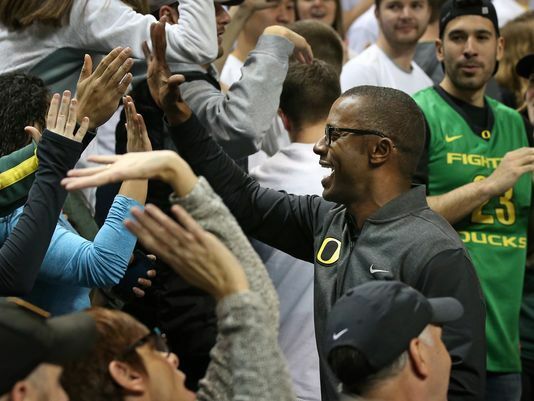 Willie Taggart is the first Oregon head coach hired from outside the program since 1976. The transition was a tough one. In the first three months of the former South Florida head coach’s Oregon tenure, one of his new assistants resigned, another jumped ship for a different Pac-12 school and a strength coach was suspended after several players were hospitalized after intense offseason workouts. When spring practice finally opened April, Taggart started the process of resurrecting the Ducks (4-8, 2-7 Pac-12 last year) after the team’s sudden fall from grace. In remaking a program only three years removed from a College Football Playoff berth, the 40-year-old head coach and his staff quickly gained the trust of his players.